You have just found the best house painters, painting interiors, exteriors for homes and businesses in Colorado Springs. Reading about our contract services! Having the right combination of key personnel of professional painters ensures jobs run as fine as the surfaces being painted in Colorado Springs. Eco Paint, Inc. is an Eco Friendly paint company, offering honest, experienced, and highly qualified team of affordable painters offering you with the best inside, outside painting solutions. Eco Paint's expert crew of painters has the latest paint color ideas, trends, and painting techniques for your next job, with the greatest house painting results. Did you know our painters enjoy what they do, making it more than just a job, as in an art. Always give much more than expected, coating all surfaces for residential and commercial painting services. Because quality control standards are the highest, having weekly meetings, our staff of Colorado Springs painters are among the best in the industry, thrive painting for you in Colorado. Below is a wide variety of Colorado Springs best painting contractor services, we provide all of our customers. Contractor services include a fully laid out, detailed proposal, estimation, applying paint samples, mapping out schedule, buying, implementing, supervising, and critiquing the paint finals. 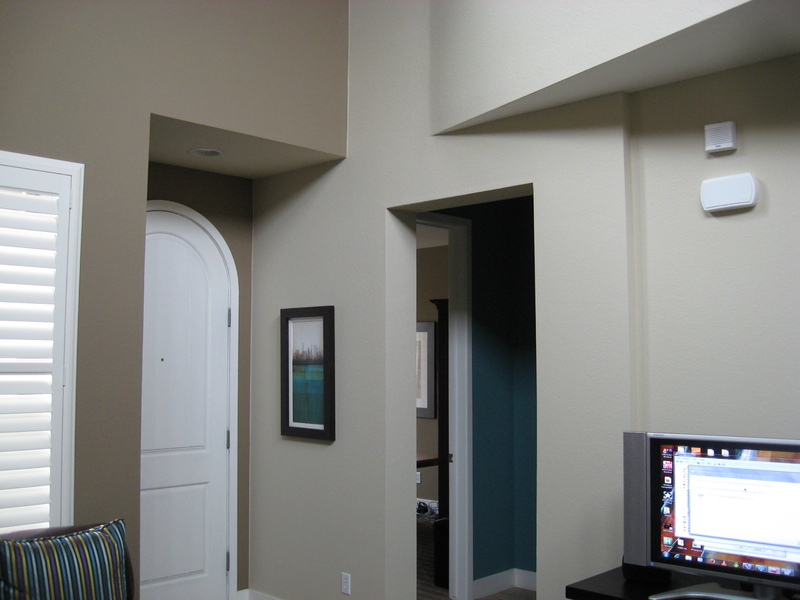 Enjoy our personalized internal and external contractor painting services, one home at a time. Eco Paint having unparalleled craftsmanship, and competitive painting costs and pricing, estimating your home in the Colorado Springs area. Having your home painted today by Eco Paint, is as simple by just picking up the phone, and Calling Us Today! Working with your paint timing and schedule is another top concern. Purchasing the top materials and products in our industry, for lasting paint effects. Generally leaving you extra paint for any touch-ups later down the road. Mobilizing, and overseeing, having a paint foreman on site, communicating with owners and contractor. Cleaning the area after each days' work, having a clean and safe site is very important. These are just a few tasks your Colorado Springs painting contractor does best, and Eco Paint, Inc. is the painting leader, so give us a call! Painting homes and offices in Colorado Springs CO. having well over 35 years experience is your premier painting company, that all others try to follow. Having painted numerous homes and businesses over the decades, Eco Paint is your household name for painting companies in Colorado Springs, CO. Painting interior walls, ceilings, and trim to all types of exterior siding, soffit, cornices, gutters, and flashing, for homes and businesses, adding value, paint protection, and brilliance, with uncompromising integrity. Eco Paint follows paint manufactures recommendations to a tee, which is why we stand behind our workmanship every step of the way. Contact us today, painting homes and offices here in Colorado Springs, CO.
Eco Paint, your Eco Friendliest painting services, using only the lowest V.O.C (volatile odor content) paints available, while keeping prices it's most economical. Eco Paint the originator of the term world wide, long before any Low V.O.C paints available to the retail public, meaning economical as well as ecological. Eco Paint contractor services takes a special interest, providing the very best painters painting your home or office in Colorado Springs with the utmost attention to detail, for your best choice in house painting services. We make it easy having your house painted today!